You thrive in leading initiatives across multiple teams and have a passion for sales and technology? 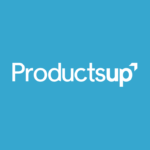 Productsup is looking for a Sales Operations Manager (m/f/d) to support our existing Business Development/Sales Team by increasing sales productivity due to simplifying processes. In your role you’ll implement sales automation tools and lead the ongoing development of our Salesforce. You will be a key player in developing our Business Development/Sales Team and driving the success of the team.